Combining drugs with one another can be incredibly risky. Because most drug users aren’t doctors and/or chemists, they often don’t know what combinations can be dangerous (or deadly) and at what doses. 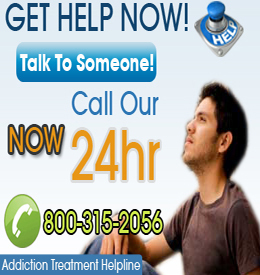 Many drug users are depending upon friends and acquaintances that are often also drug users for advice in this area. This typically isn’t the best approach. However, because most people won’t feel comfortable asking their doctors about illegal drug combinations, they attempt to figure out things via trial and error and based on the advice of other users. Below, we will take a look at a few possible LSD combinations and how they might react in the body. It is our contention that individuals not use illegal drugs at all and certainly not mix them. However, because people do, we will discuss various combinations and their possible outcomes. This is only a limited review. Amphetamines and LSD: Amphetamines are central nervous system stimulants. When they are mixed with psychedelic drugs such as LSD, the result is often an energized person who is experiencing hallucinations. This can be quite dangerous because the user may begin to act strangely and end up causing harm to themselves and/or others. Cocaine and LSD: Cocaine is a powerful stimulant. Taking this particular drug in combination with LSD, which may cause hallucinations, might result in the user acting paranoid, delusional and bold which is not a good combination at all. Alcohol and LSD: Alcohol tends to lessen or dull the effects of LSD. Anti-depressants and LSD: Some antidepressants are dangerous to take in combination with LSD, particularly lithium and Tricyclic. Others may be as well. It is in the best interest of the user to stay from taking anti-depressants with LSD, especially if he or she is not sure of the effects on the body. Mixing LSD with other drugs can have a negative effect on the body and can be potentially dangerous. In most cases, individuals should avoid this. Of particular risk is the combination of LSD and some anti-depressants. Taking lithium and Tricyclics with LSD can be lethal. Mixing may also have psychological effects. Combining psychedelics with drugs such as cocaine or amphetamines may encourage dangerous and risky behavior.